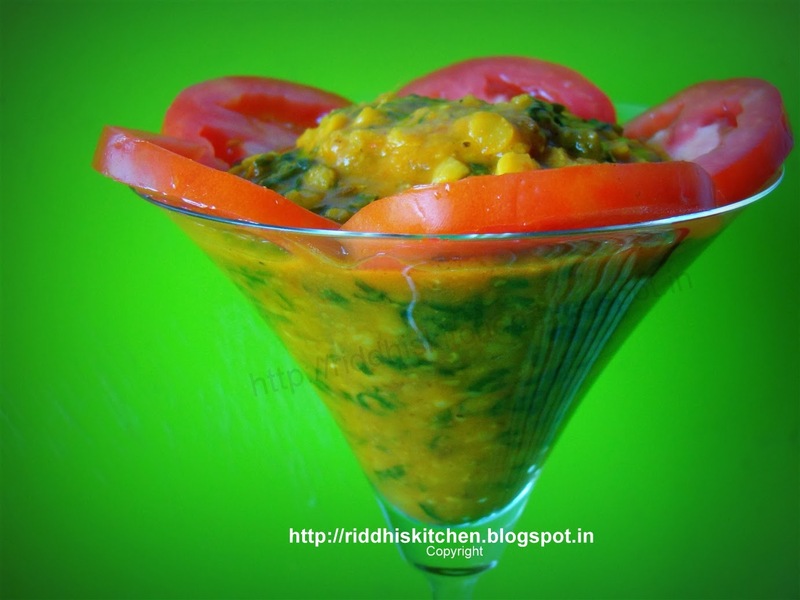 Soak chana dal for 2 hours , presser cook with turmeric powder and 1 cup of water for 4 to 5 whistle or till cook . Heat oil in kadai , add cumin seeds , curry leaves , hing , tomatoes , mix well . add ginger paste , garlic paste ,chopped palak and sauté for 2 to 3 minutes or till tomatoes soft. Add red chilli powder , salt , garam masala , coriander powder , mix well . Add boiled chana dal .add water if required ,cook for 4 to 5 minutes . Add lemon juice and serve hot with roti or rice . Tip : I prefer thick consistency of dal with roti . you can add water as per your requirement.